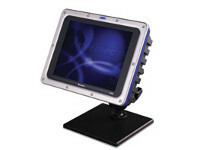 The EasyCoder® PC4 is the perfect printer for the inexperienced or busy user. Intermec’s Connect & Print concept makes setting up and printing a quick and easy task. Everything is included in the low price: software, drivers, cables, and labels. 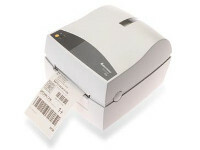 The printer comes complete with LabelShop® START – Intermec’s label design software – and InterDriver™ Windows® Driver. This enables the user to easily print bar code labels from Windows applications, including Microsoft® Office™ and other popular programs. The printer’s compact size, sturdiness, and silent operation make it ideal for a variety of applications, including retail, office, healthcare, logistics, government, and manufacturing. 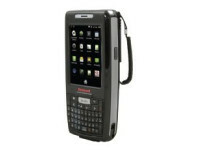 Additionally, the battery option for the EasyCoder PC4 facilitates mobile printing. 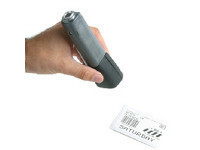 Labels are printed quickly and easily, whether the printer is powered via AC outlet or battery, throughout a full shift. The EasyCoder PC4 prints faster and with better quality than most competing printers in its price range, and includes dual print technology, Direct Thermal and Thermal Transfer, for printing on various label materials. 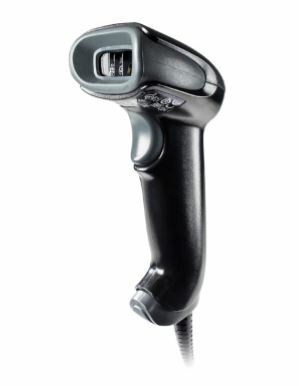 The EasyCoder PC4 printer comes with standard features like Self-Strip with Label-Taken sensor and Black Mark sensor. The EasyCoder PC4 printer is compatible with EasyCoder 91 and EasyCoder 7422 applications, so adding the new EasyCoder PC4 is simple. With all its built-in benefits, the EasyCoder PC4 is really a smart choice that offers excellent value for an affordable price. +5° to +40°C (+40° to +104°F). Code EAN/ECC for EAN/UCC 128 w/ CC-C.